The Edmonton Oilers have been trying to find a way to bolster their blue line all summer long, and it seems that on Tuesday, they managed to find part of the answer to their defensive woes. The Oilers revealed that they have signed veteran defenseman Jason Garrison to a one-year contract, in time for the 2018-19 season. TSN Hockey Insider Bob McKenzie was firs to report the team has signed the veteran defenseman to a one-year deal worth $650,000. The deal is a one-way contract. Garrison spent a majority of last season with the Chicago Wolves of the American Hockey League after being waived by the Vegas Golden Knights at the end of last October. He just took part in eight contests for the new expansion team in the first month of the campaign, and collected just one assist in the process. As an undrafted free agent, Garrison made his NHL debut with the Florida Panthers in 2008-2009 and has appeared in 538 games over 10 seasons with the Panthers, Vancouver Canucks, Tampa Bay Lightning and Golden Knights. Garrison was invited to the Oilers’ training camp and managed to convince the team he could be of help this season. Many fans expected Edmonton to bring back defender Brandon Davidson to a one-year deal, however, he was signed by the Blackhawks last week after being invited on a PTO in Chicago. The Oilers are still unsure on when injured veteran blue liner Andrej Sekera will return to the lineup, so Garrison brings a certain sense of security for the start of the season. 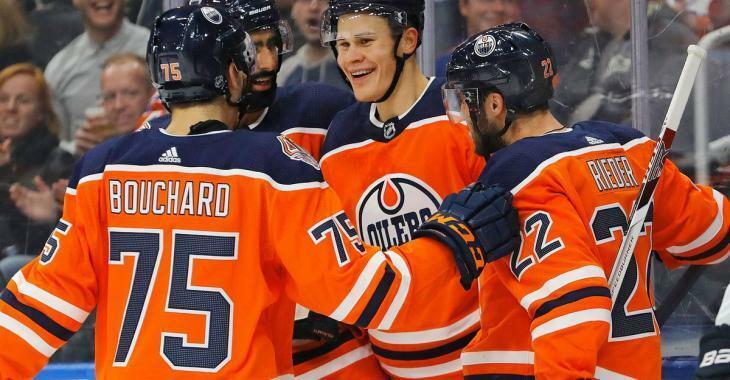 TSN’s team insider Ryan Rishaug recently revealed how alarmed he was by the state of the Oilers’ blue line and how the situation could backfire on the club. Rishaug even suggested that the Oilers could trade Kailer Yamamoto or Jesse Puljujarvi and a pick in a big trade for a quality defenseman. For now, it seems like Garrison will be the solution for the moment. The 33-year-old had his best season back in 2011-12 when he recorded 16 goals and 33 points as a member of the Panthers. The Oilers open their season on Saturday against the New Jersey Devils in Sweden.